Lights are essential atmosphere ingredients – great lighting creates ambience in your home and pulls interior looks together. 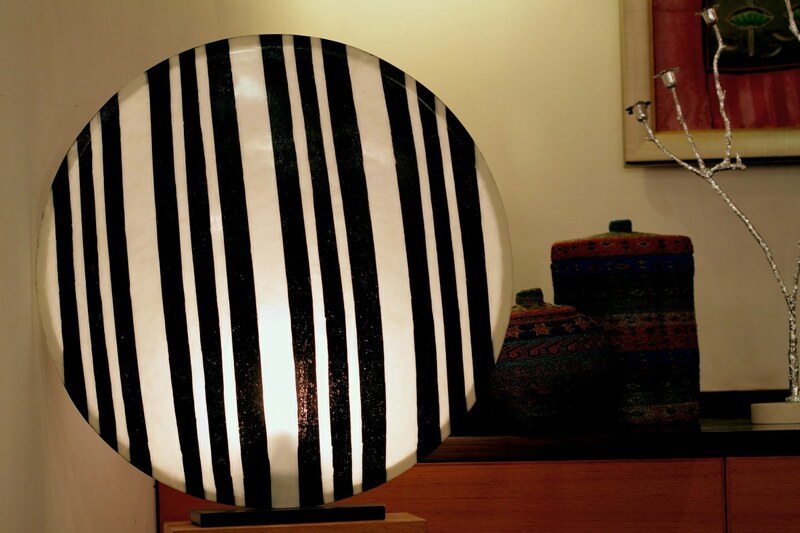 This round fiber lamp with sand effect can be placed on any table top or shelf perfectly boosting your style quotient. The bold contrasting colours will assuredly add that element of drama to your home.